The Iranian government's claim that there is an Interpol warrant for the arrest of Habib Nabgan, leader of the Ahwazi Arab Struggle Movement, is a lie, the Ahwaz News Agency can reveal. Through propaganda outlets such as Press TV, the regime has attempted to smear Nabgan and other Ahwazi Arab leaders by portraying them as criminals. Contrary to regime propaganda, Nabgan, currently living in political asylum in Denmark, is not on Interpol's list of wanted people. Interpol's website shows no outstanding arrest warrants on behalf of the Iranian government. Yet, Iran continues to pursue a campaign of misinformation about Nabgan and other exiled Ahwazi Arab in order to justify a campaign of executions against Arab activists in Al-Ahwaz. Iran is more inclined towards illicit means to neutralise exiled opposition activists, such as assassination. 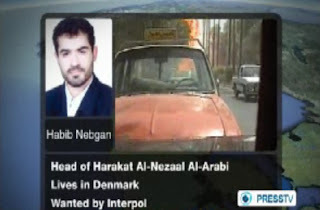 Among the Iranians wanted by Interpol is the Iranian politician and cleric Ali Fallahijan, who the Argentine government wants in connection with the bombing of a Jewish cultural centre in Buenos Aires in 1994. He is also implicated in the killing of three Kurdish leaders in the Mykonos restaurant assassinations in 1992 and has been charged by a Swiss court with overseeing the operation that led to the assassination of Kazem Rajavi, the brother of Mujahidin-e Khalq leader Massoud Rajavi in 1990. He is also suspected of involvement in the 'chain murders' of dissidents in 1988-98. There are a total of 36 Iranian citizens on Interpol's 'red list'. They may soon be joined by the Iranians involved in the Israeli embassy bombings in 2011-12, carried out in Georgia, Thailand and India. Iran is currently refusing Indian detectives access to Iranians suspected of involvement in the Delhi bombing in February 2012, allegedly carried out with the assistance of Indian journalist Ahmad Kazmi who spied on London-based Ahwazi Arab dissidents. Daniel Brett, director of the Ahwazi Arab Solidarity Network, said: "Nabgan's family are victims of the Iranian government. 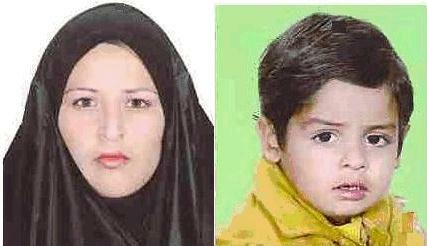 His wife Masouma Kaabi and their son Aimad, then aged four, were held in detention for months in 2006 in an attempt to force him to return to Iran for a show trial and certain execution. Masouma was repeatedly detained in following years and suffered numerous beatings, leaving permanent injuries and no doubt was traumatised by the use of torture. "The Iranian government has no right to take a moral highground when it comes to Ahwazi Arab dissidents. Even the fallacious crimes they are accused of are minor to the suffering the government has inflicted on Ahwazi Arabs and others living under this tyranny as well as the terrorism it has exported. Its refusal to hand over to Interpol those suspected of serious crimes outside Iran demonstrates it has no respect for international law or the authority of this international policing body."